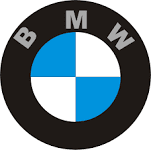 BMW (Bayerische Motoren Werke in German, or Bavarian Motor Works in English) is a German multinational company which currently produces automobiles and motorcycles, and also produced aircraft engines until 1945. The company was founded in 1916 and has its headquarters in Munich, Bavaria. BMW produces motor vehicles in Germany, Brazil, China, India, South Africa and the United States. In 2015, BMW was the world's twelfth largest producer of motor vehicles, with 2,279,503 vehicles produced. The Quandt family are long-term shareholders of the company, with the remaining stocks owned by public float. The worst service is provided by BMW Navnit, completely irresponsible and callous attitude towards the customer. They give no commitments on delivery dates, and take no responsibility for timely deliveries. I have give my car for service three times in the past 18 months and every time the experience was the same. It is about time, that a company like BMW take notice of this and replace this dealer. Probably this explains why BMW sales even with a better product is lower than that of Audit in Bangalore. My 320d has gone in for repair to a faulty power steering motor, that packed up exactly one month after the warranty period. It went in on January 21, 2013, and there is no information from Navnit motors as to when I will get the car back. My power window rear is malfunctioning, the gas lid opens automatically often when I open the car with the remote; altogether, it has been a disappointing ownership of what I considered one of the best cars to own. For things to start packing up just two years into ownership is a poor indictment of quality. The A4 came with a 4 year warranty , obviously they have more confidence in their engineering than BMW. I agree BMW will lose out more in the turf war. Nobody cares from the company, if you have a problem with your car. I have the same experience... I think the local dealers doesn't have any clue of what they actually do. I bought a second hand car from their own PRE-OWNED wing where the car was actually owned by BMW India. They over priced and used my ignorance on BMW India pricing and screwed me by selling this at a high price. Its been around 8 months since I bought the car (just one year old car) and it has gone back and forth 6 times so far for some recurring issues most of the times and still not able to fix it. The reason what they give is completely very silly even Ambassadors will not give such reasoning. i am dr anand bhagwat from indore mp owning a nmw x3 bpught in april 2012.3 days back on opening the car in the morning the vipers n central locking started operating on its own..locked the car but to no respite.gace it to the local dealer to be told that the bettery is drained out n to b replace with 45ooo new one.the frm is also gone n needs to b changed with a 45ooo new one.now whaat is this nonsense.the car never showed up low battery n been to 25oo km journey to goa only last month.so no reasson for a drained battery of dischaarge.am in a big prob.can anyone give me suggestions on 09826651096. The worst dealership of all is Platino Classic. We have purchased a New BMW X1 sport from Navneet Motors Mumbai on delivery of the vehicle we found two front Tyres in Swollen condition which was intimated to Navnit motors Mumbai, after that we have sent no of emails and 100 of telephonic calls but they are least bothered and do not reply to our mails not revert on telephone. As per contract agreement we were promised in written to be given Original Car cover and complete floor mats and key chain but we are very sorry to say that they have given duplicate car cover and floor mats which was assured to be given as soon as it would be available and the key chains are yet to be received. We are in very much pain and have no options left other than to take shelter of the Honble Court for Justice.